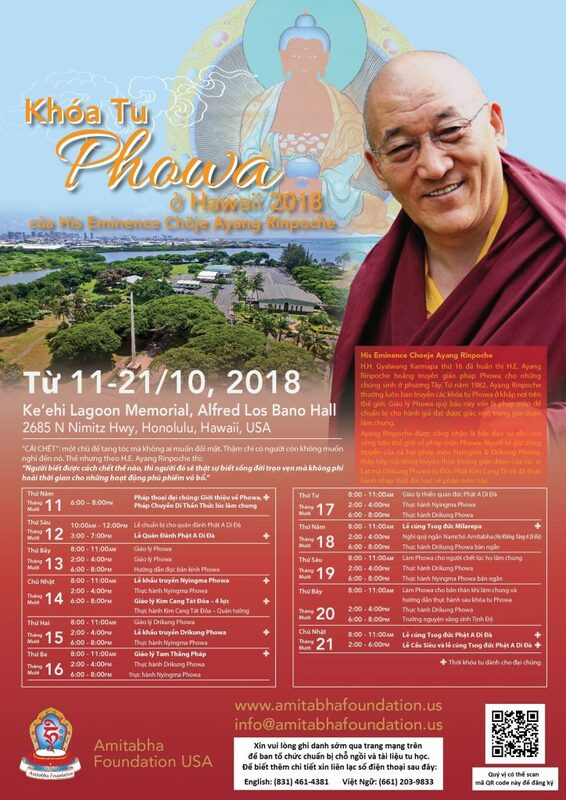 Ayang Rinpoche will bestow the Karma Lingpa Shitro (100 Peaceful and Wrathful Deities) empowerment and give related teachings in Hong Kong, August 26-29, 2017. Read more about the empowerment and the significance of the 100 Peaceful and Wrathful Deities practice here. Please contact Amitabha Foundation Hong Kong for more information and to register. 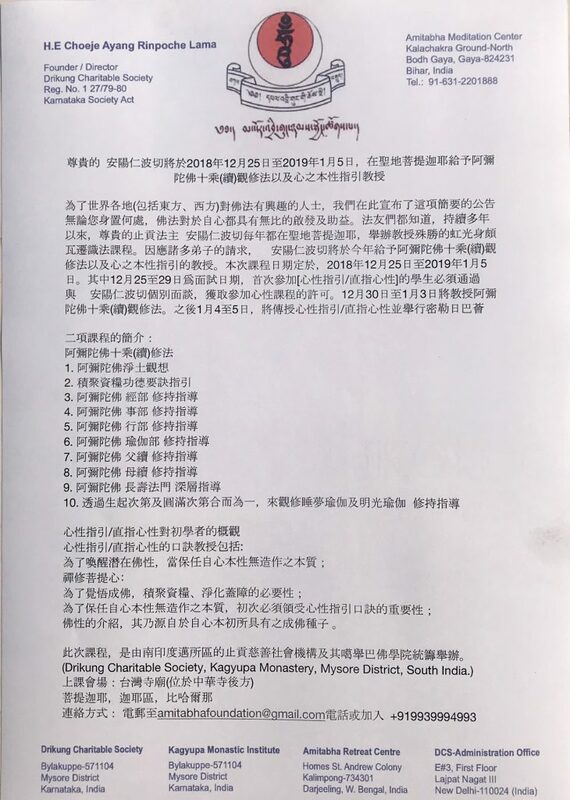 It is Amitabha Foundation Hong Kong’s pleasure and great honour to host the Hundred Wrathful and Peaceful Deities Empowerment to be bestowed by His Eminence Choeje Ayang Rinpoche to Hong Kong. Through the great compassion of His Eminence Choeje Ayang Rinpoche, such a supreme empowerment will be held in Hong Kong from 26-29 August 2017. 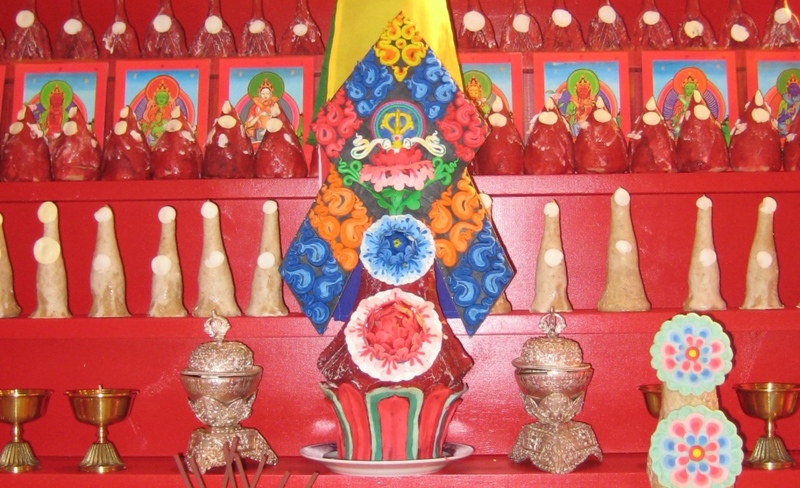 The Amitabha Foundation Hong Kong will be hosting the event at the International Trade & Exhibition Center at Kowloon Bay where the magnificent Hundred Deities Mandala will be installed. Commonly known as the Hundred Deities, they include forty-two peaceful Deities and fifty-eight wrathful deities that one encounters during the bardo stage. If one has received the empowerment and blessing, and having seen their pictures in the past, one will recognise these deities as the reflections of the nature of Dharmadhatu and attain instantaneous liberation in the bardo stage. 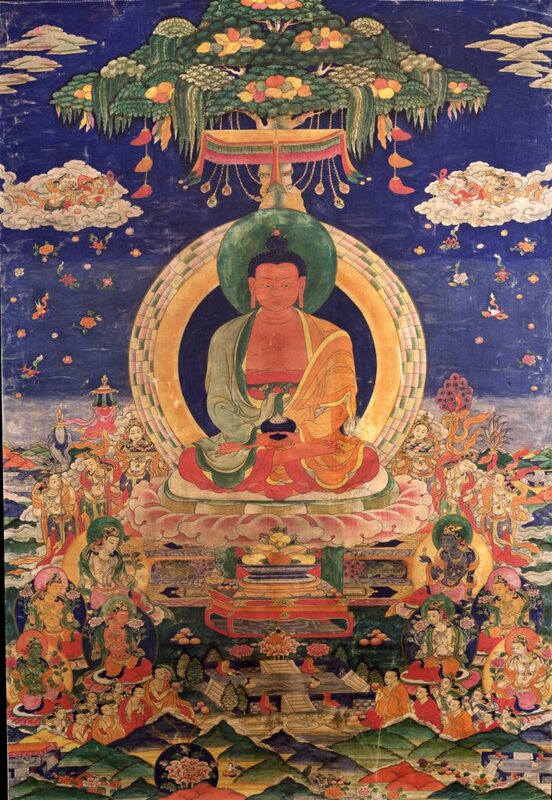 At the spacious venue we have booked for the empowerment, we will be erecting a magnificent Hundred Deities Mandala with the help of lamas specially selected and sent by His Eminence. 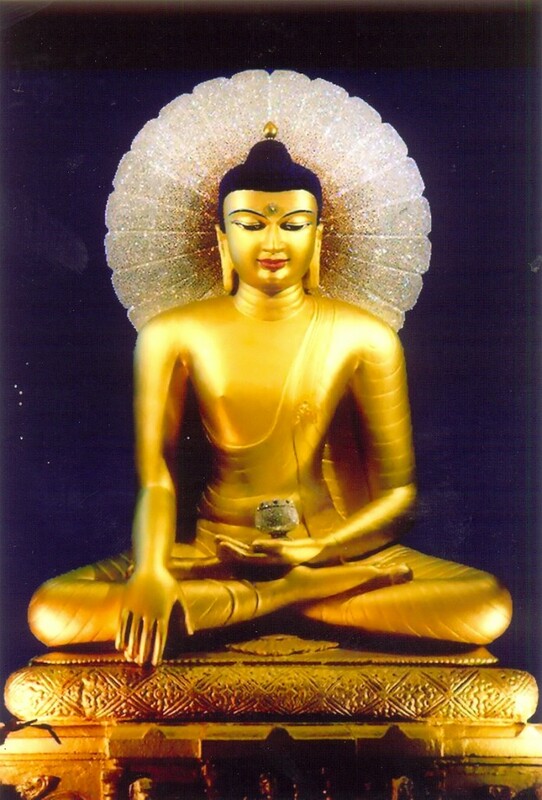 Amitabha Foundation Hong Kong sincerely invite you to join us in this supreme empowerment. Bring along all your family, friends, loved ones, sangha, dharma brothers and sisters and everyone you come across between now and then. The empowerment is free of charge to anyone who wishes to join. We will not be able to arrange for meals & accommodation. 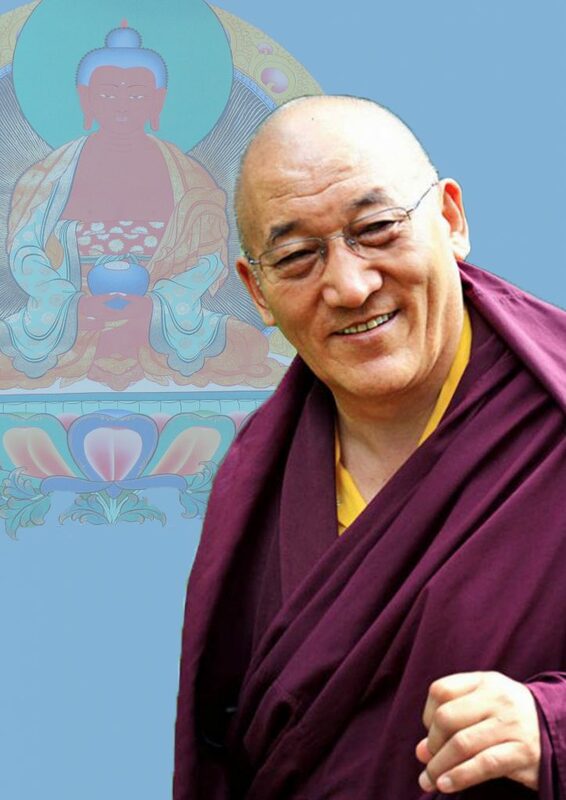 Ayang Rinpoche will give Introduction to the True Nature of Mind teachings in Toronto, May 13-14, 2017, 9:00am—12:00pm & 3:00pm—6:00pm. For more information and to register, download the flyer in English, Chinese and Vietnamese here. Pre-requirements: You must have taken refuge ordination before. 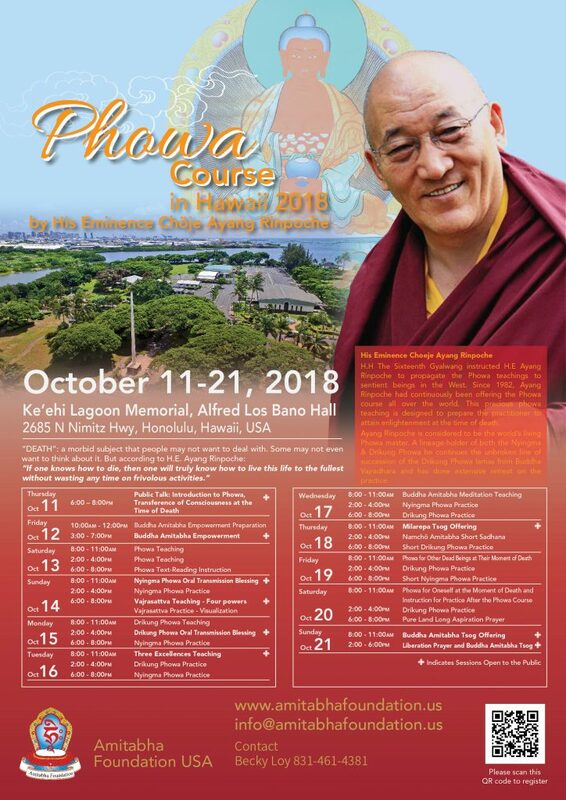 If this is your first time attending the True Nature of Mind teaching, you must first have an interview with Ayang Rinpoche. 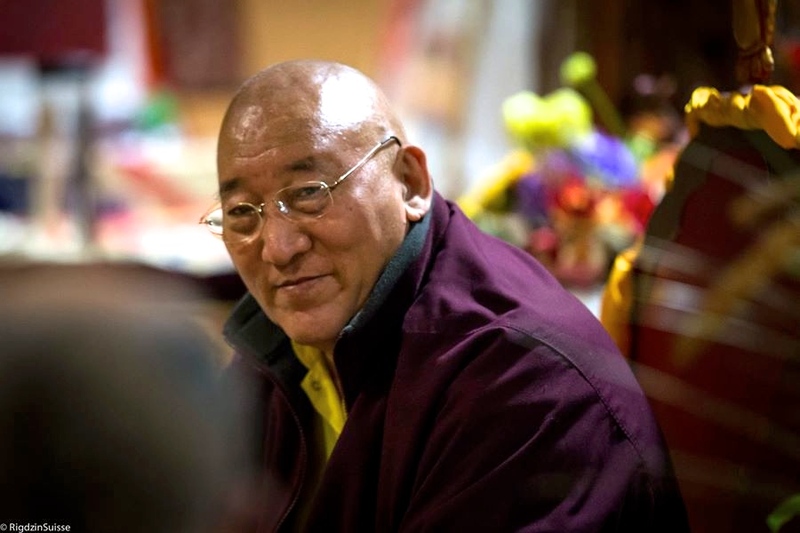 If you attended Ayang Rinpoche’s True Nature of Mind teaching before, you don’t need to be interviewed again and can directly register for the course. 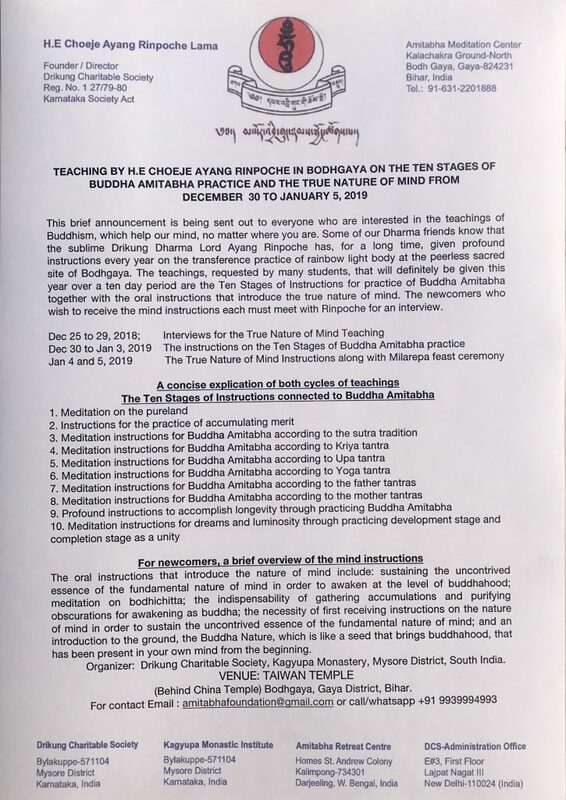 If you need an interview for this teaching, please register with Toronto Amitabha Foundation ASAP. Please provide your name, phone number, email address, and indicate that you need an interview. If you require a receipt mailed from us, please also provide your mailing address. More details regarding this teaching will be found online. 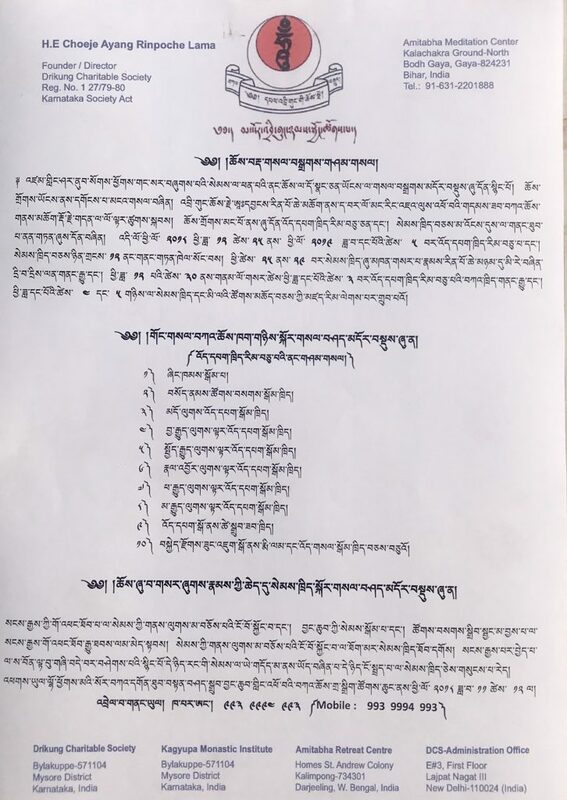 Rinpoche invites everyone, whether or not they can make a pilgrimage to Bodhgaya this year, to make an auspicious connection by sponsoring the teachings. 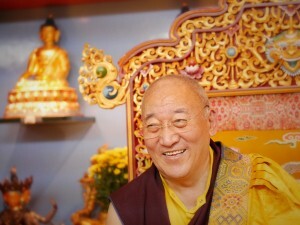 Rinpoche gives the teachings in Bodhgaya every year free of charge, and your tax-deductible (in the US only) donation will help ensure that these teachings continue for years to come.